CustomerThink: #CRM strategy turns 25 – but has it helped #CX? In the 25 years since its inception, CRM strategy has been applied by business with mixed results. The vision was solid: use customer centrality as the core design principal to fuse functions, data, processes, and systems to drive improvements. Do that, everyone thought, and great relationships and experiences will follow. In 1990, there were no DMPs, CDPs, campaign management systems, and marketing clouds. So, although CRM practitioners have made progress, other forces have been at work, strengthening silo walls and further fragmenting things. Being customer centric doesn’t magically happen. And it certainly doesn’t happen by buying eight different customer data management systems. What’s required is alignment – deep data alignment, process, functional, platform, and organizational alliances sustained over years. To achieve that kind of alignment, particularly in large organizations, it takes unwavering commitment and collaboration. 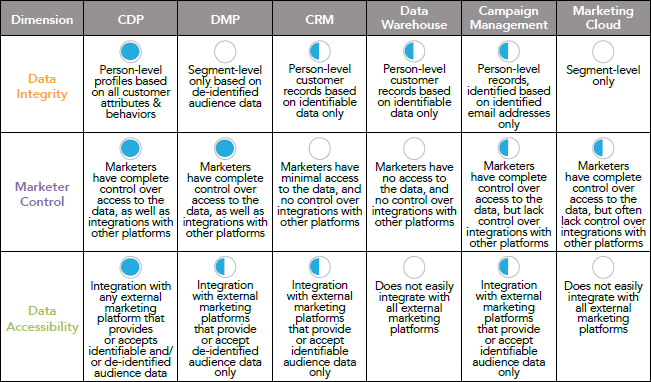 Executives, middle management, and individual contributors across marketing, sales, service, and operations, must all sing from the same CRM song sheet. 3. When it comes to using tools that improve the experience, it pays to go all in with a few rather than dabble with many. 4. Who is most optimistic about future customer experience trends? On average, 63% of the performance leaders agreed that the trends would occur, compared with 52% for all respondents and 40% for laggard firms. Leaders were most enthusiastic about three trends, involving sensors in retailing and biometric payments (see Figure 10 in pdf). Asia-Pacific executives were more bullish than their counterparts in other regions, with an average agreement rate of 64%, higher than Latin America (60%), Europe (49%) and North America (46%). Respondents in Asia-Pacific see more blending of digital and human elements in several new arenas (see Figure 11 in pdf). Compared with other regions, many customers in Asia-Pacific are relatively tech savvy, and also more comfortable with the prospect of technology entering their lives and even their bodies. CRM as a concept is in my belief much older. As older as the start of business. CRM as a technology has its roots somewhere in the late 80’s or early ’90. Looking back – and i use Google Trends for my reflection – customer experience as a topic seems to explode. However, CRM as a search topic remains rather stable. My working assumtion: customer experience exploded (growth) and eroded (diffusion of service into all touchpoints) because of many, many transformations in society, economy, technology (not only digital) on a local and global scale. CRM execution was apparently not able to support these transformations in an effective and efficient way. Is this that bad, one may wonder? For me investing in staff, standards and benchmarking with the competition is still the foundation for success in the forthcoming decades. Do not confuse technology with strategy. READ Customer Service Evolved — So DID Your CRM Execution?